Despite the name of the program, it can be used not only for monitoring children’s activities on the computer. KidLogger collects data about any user activity on the computer and creates detailed time tracking and productivity reports available online. This is open source program. The fact that this is open source monitoring software means that if you are familiar with compiler you can make changes in it. After making changes in its code, this program will not be in anti-virus signature databases. 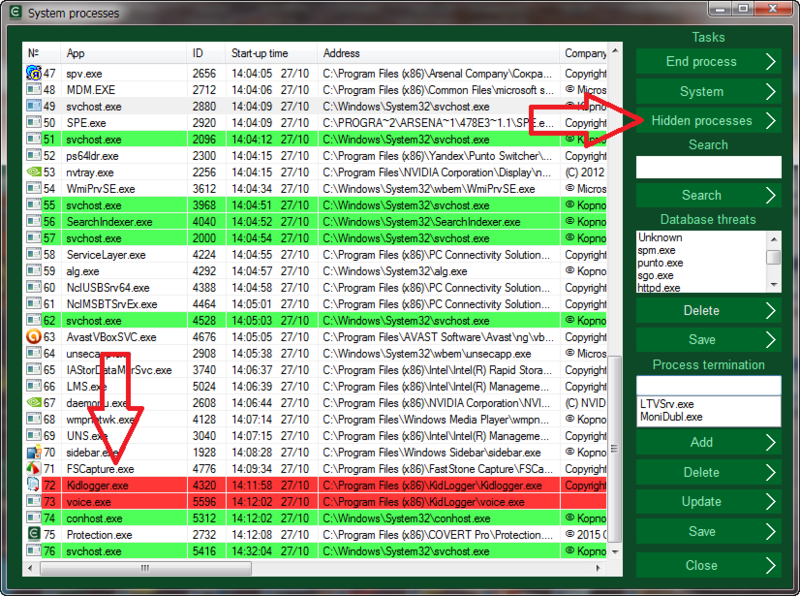 Scanning Kidlogger.exe using VirScan.org shows only 7% (3 of 39) danger results. Come to your own conclusions. 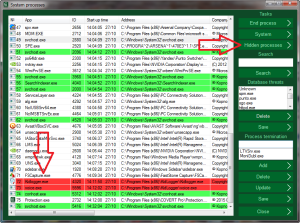 To detect KidLogger PRO launch the “System Processes” and in the process list you can see the names Kidlogger.exe and voice.exe. They provide main functionality of this spyware. 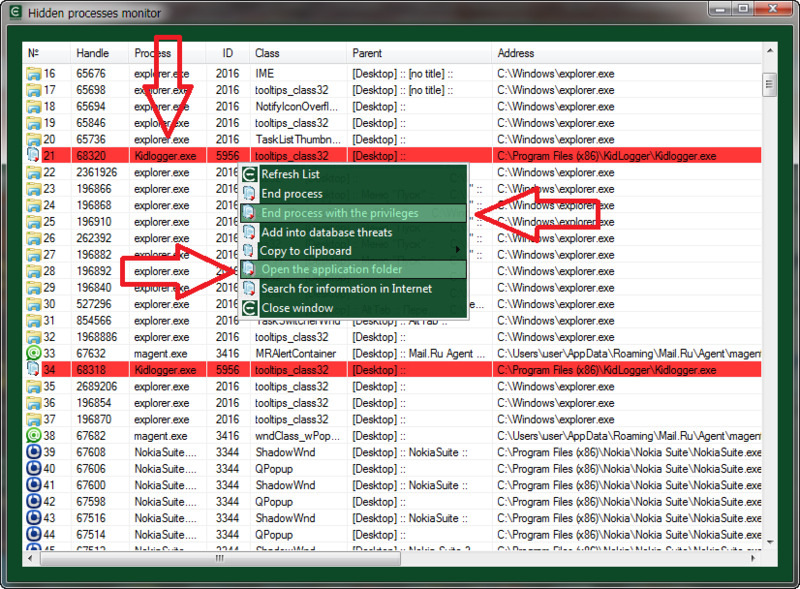 If KidLogger PRO is set to conduct hidden monitoring, then you need to use a feature called “Hidden processes“. It highlights in red all processes which hide themselves from the system. 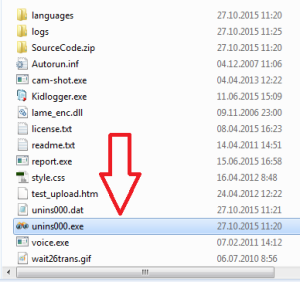 After detecting spyware, you can remove it using the context menu by selecting “Open the application folder.” The folder with the program KidLogger PRO will be opened on your computer. 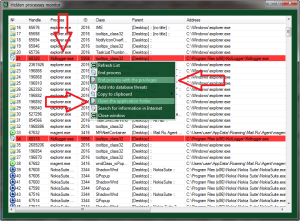 Then in the context menu select the item “End Process with the privileges” to terminate the work of Kidlogger.exe and voice.exe. After that you can run uninstaller to remove the program. If you want to mislead a person who installed this spyware, you can leave it on your PC. To perform a confidential work enter COVERT secure platform by clicking on the button with logo in the main interface. KidLogger PRO will not be able to intercept keyboard input, make screenshots and store data in its logs. On the screenshot below we can see logs of spyware program that were created while user was working in COVERT secure platform. Even if your computer has got installed spyware, you can work safely within the secure platform. How to find and remove KidLogger PRO you can see in the video video guide.